Here at Just Atonement, we pay close attention to events taking place around the world that can help us accurately anticipate the future and achieve our twofold goal of protecting democratic institutions and mitigating the impact of climate change. Our primary concern lies with the world we are leaving for our children and we work every day to inform, inspire action, clarify principles, and light the way to a safer, wiser, and more sustainable future for all of us. So when we encounter certain studies or face global events that relate to our goals, we often pause and ask: What does this mean for us? And sometimes the answer is far from simple. This week, we’re examining this study in the journal Nature, which provides evidence that Antarctic ice sheets are not only melting (which we already knew) but are melting much faster than researchers previously believed. The rate of Antarctic ice loss has tripled since 2007. This is a difficult fact to process, specifically because no individual among us can take a quick, easy form of personal action that will have any impact on this melting rate within our lifetimes. News and conversations about injustice, policy decisions, elections, and cultural trends can light a spark that can quickly flare into personal and collective change. But news about a melting continent doesn’t have the same effect. The scale is so massive and incomprehensible that no matter the context in which it’s presented, and no matter the metaphors and scaling mechanisms used to bring it into perspective, it still tends to produce one response in the recipient: paralysis. We stop moving, and we regain our ability to continue on with the day only when we decide to stop thinking about it. Antarctica itself is a world that most of us will only ever see in our imaginations, and no youtube video can fully capture the spectacle of a collapsing ice sheet the size of Manhattan. So with that in mind, we’re asking for your support. Please let us know what this information means to you. How does it affect you as you hear it? Do you find it upsetting? Does it increase or diminish your urge to act, or spark an impulse to take protective action on behalf of yourself, your family, or the natural world? Are you awed, inspired, or unconcerned? We are constantly amazed to find ourselves alive in an era in which we have so much control over the longevity and ultimate fate of the human race, compared to the control exercised by our ancestors. But how we will we use this control? How will we wield the remarkable tools available to us, the tools that allow us to understand how our actions impact the planet, and the tools that allow us to communicate with each other on a vast and rapid scale? Help us find answers to these questions by sharing your response to the news above. We’ll use your answers to guide our path forward. Please leave a comment on our Facebook page, send us a message, or contact us directly. We already know that as the planet warms, vast landscapes of ice are melting into water, which—presumably—follows a path determined by gravity and eventually joins the waters of the ocean. 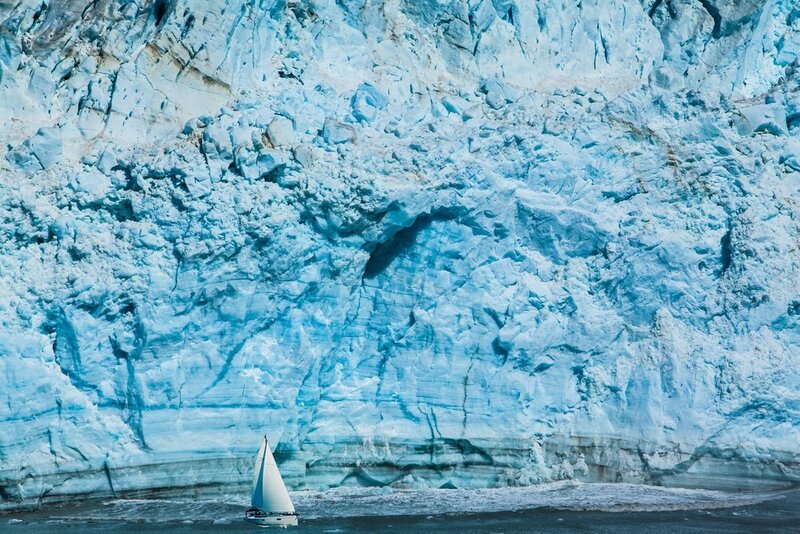 In Greenland alone, about 260 billion tons of ice are turning into water every year. And until recently, the process of melt and flow was assumed to be simple; melting ice would eventually merge into rivers that led to the coast, and the degree of melt would correlate in a clear and measurable way with rising sea levels. But a team of researchers deployed to Greenland to measure and monitor the flow of the ice melt have stumbled on an unexpected twist in the simple story that begins with ice and ends with rising seas. Using acoustic measurements and mapping techniques facilitated by drones, the team has discovered a disparity between the disappearing ice and the volume of runoff, a disparity of between 20 and 60 percent. The ice is melting, but the total volume of resulting water isn’t completing the entire journey to the sea. 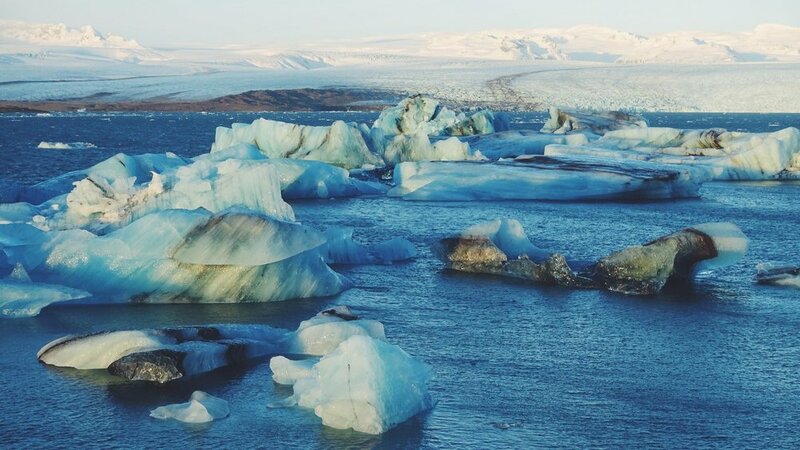 If researchers determine that a large proportion of meltwater disappears into pockets and crevices inside the ice sheet, this will dramatically alter existing models used to calculate the rate and extent of rising sea levels around the globe. The models will need to be adjusted to better reflect complex and unpredictable realities. Some of these realities: the possibility that water may be flowing into areas below the surface that are protected from the direct rays of the warming sun. Also possible: the water may be flowing into “rotten” areas of ice with a porous consistency that collects fluid like a sponge. Also, changes in the color of the ice—potentially caused by microorganism populations—may alter the predicted speed of the melting process. Nobody ever promised that measuring the impact of a warming planet would be simple. The researchers in Greenland are confronting this challenge in real time, and what they’re finding will contain important lessons for all of us.